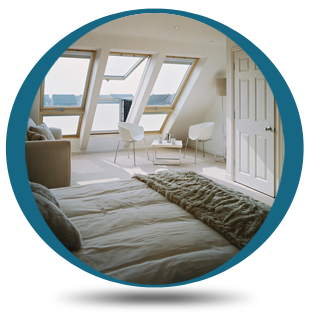 Attic Designs | Attic Designs is a family based company and one of the leading loft conversions specialists in Dorset. Attic designs are the leading south coast loft conversion specialist. Converting your loft space is the most cost effective way of extending and improving your home. Your loft conversion will be professionally managed. Most conversions completed within six to eight weeks. Our quotations will include that complete package. From design plans, Structural designs, building regulations and planning approval. Every conversion will receive a written guarantee. Insurance backed guarantee are also available. Show lofts available to view in most areas. Speak to many of our satisfied customers. Stair cases are individually designed & manufactured to suit your loft. Attic Designs is a family based company and one of the leading loft conversions specialists in Dorset. We have been helping to design and build dream lofts for happy costumers for many years. We are also a registered installer for Velux windows systems, fitting their wide range of windows, and along with are team of fully trained and friendly tradesmen we will be more then happy to deliver your dream room.